19 July Training Day ….10/10. Windier, sunnier, and warmer than forecast. 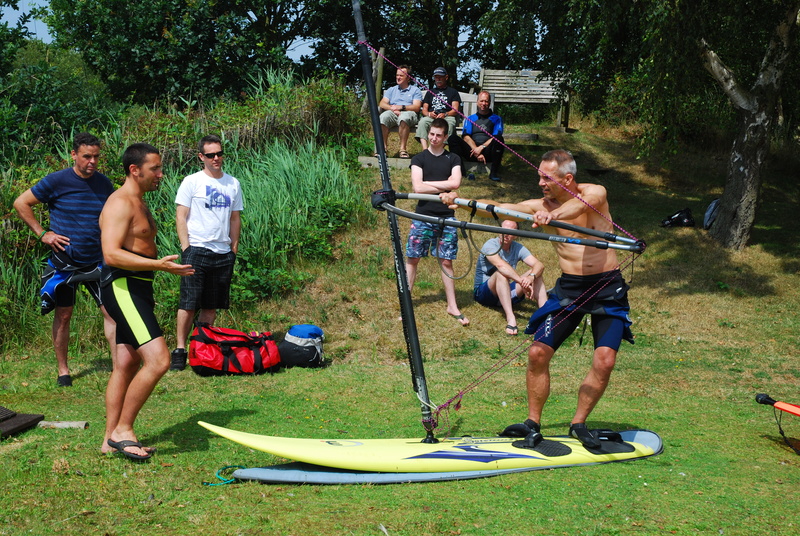 It was a pleasure to spend the day with other instructors and our lovely guests to advance their windsurfing skills. Very satisfying to see the pupils pushing their selves and moving their ability up a level or two. Many thanks to Darren, Gareth, Martin, Phil and Richard for giving up their time for free, and supporting the Club’s training programme. Checkout the high res pics on our Facebook page (Link on the left of this page). Everyone, do checkout young member Briony’s quest to reach the 2020 Tokyo Olympics to represent the UK in sailing the 49ers – go to our Facebook page for more details. Search 49ers on You Tube – you thought windsurfing was exciting! Loads of great value 2nd hand kit for sale at the moment – check the forum updates on this page. 1 comment to 19 July Training Day ….10/10.